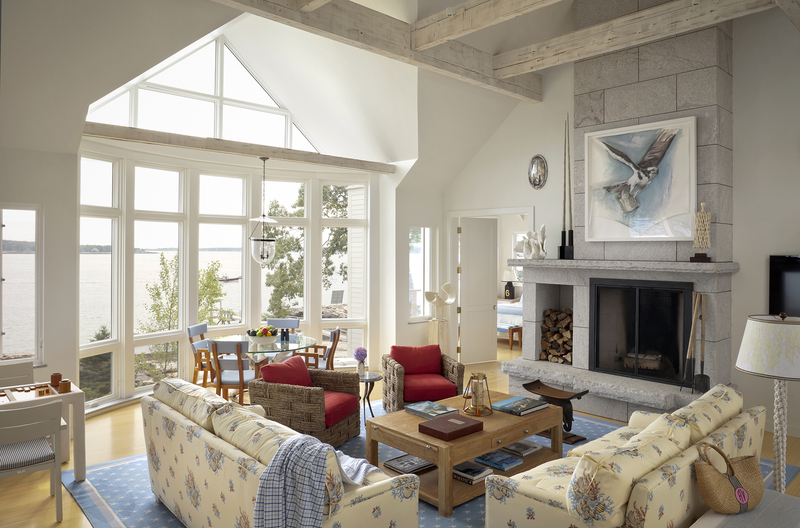 The entry of this contemporary Maine cottage was designed for transparency, to entice guests with the water view beyond. 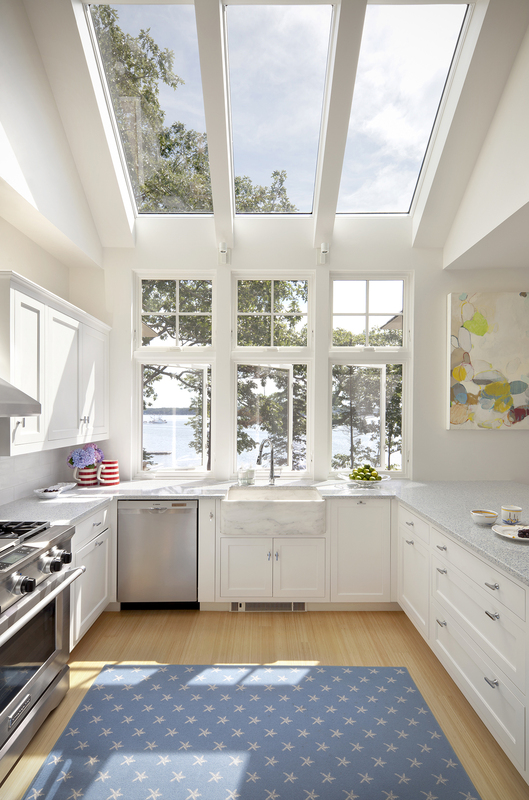 On a site that offers 270 degree views of the shoreline, islands and open ocean, the water view is a part of every room. The owner, who is also an interior designer, had a clear vision of how to achieve a crisp contemporary style with a nautical flair. The white plaster walls, white-washed beams, and pale granite stones create a clean backdrop for the owner’s colorful custom furnishings and artwork. 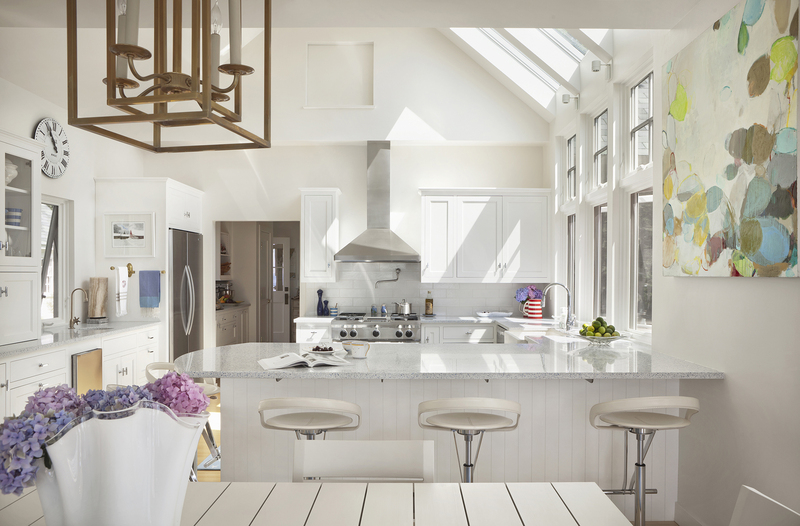 The open plan is full of light, with large windows and doors to connect the indoor and outdoor spaces. 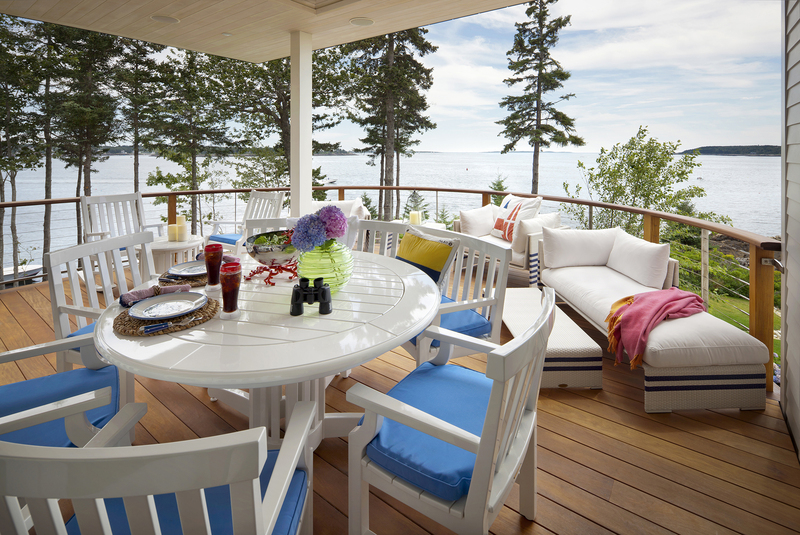 Multiple seating areas are positioned to take advantage of different views. For each interior space there is a companion outdoor space: the living and dining area opens to an entertaining porch; the master suite has a private curved porch cantilevered over the guest room terrace below; a grilling porch is just off the kitchen. 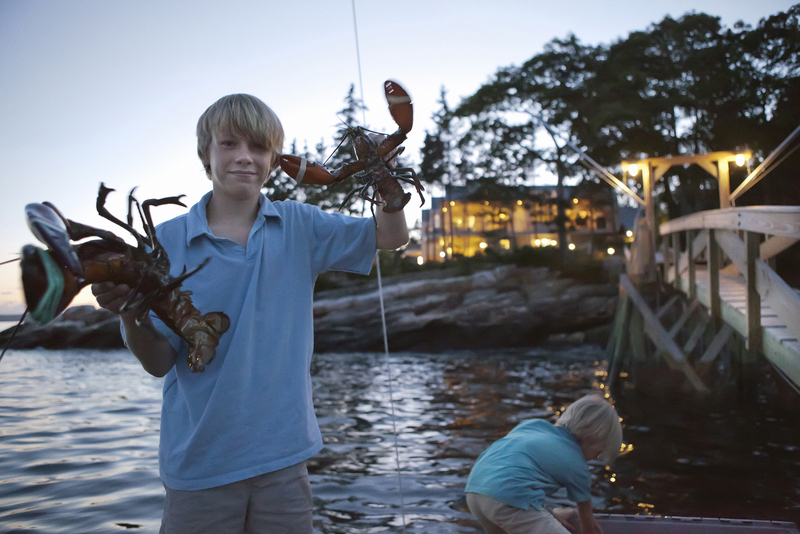 And of course, lobsters! 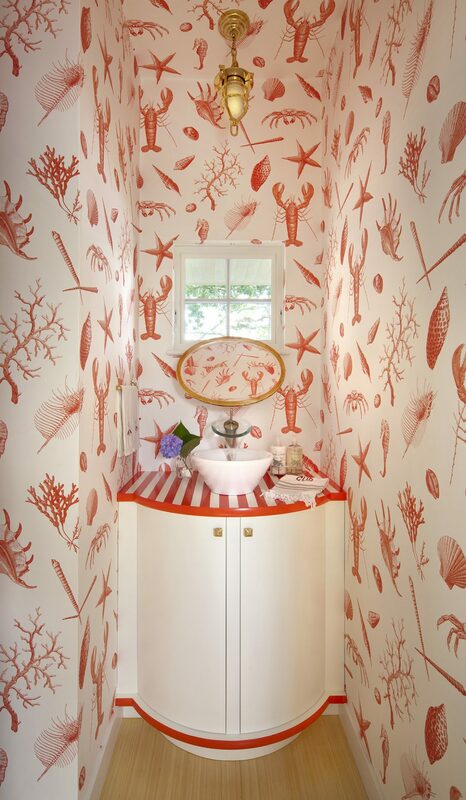 A striking powder room with a custom curved vanity carries on the coastal Maine motif. While the main house has an entire floor devoted to guest suites, the separate bunkhouse is all about the grandkids. 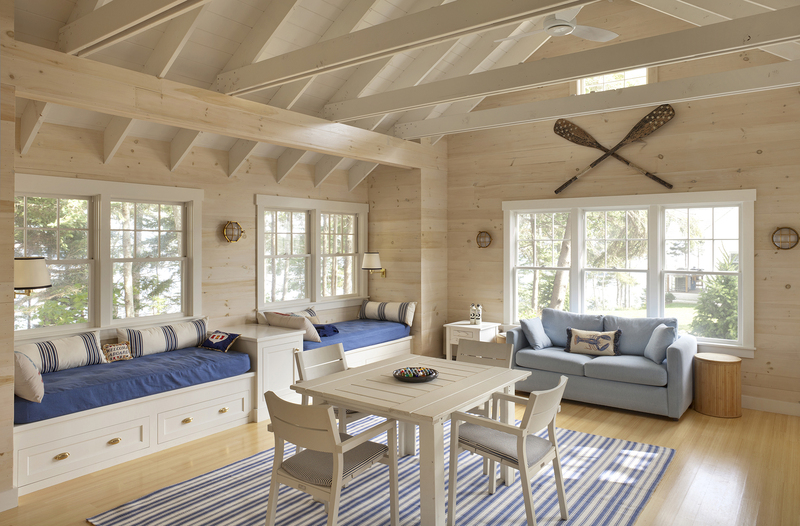 The owners wanted the bunkhouse to be “rugged” and low maintenance, a rainy day place for movies or board games, large enough for entertaining visiting friends—a private play space the kids can call their own. 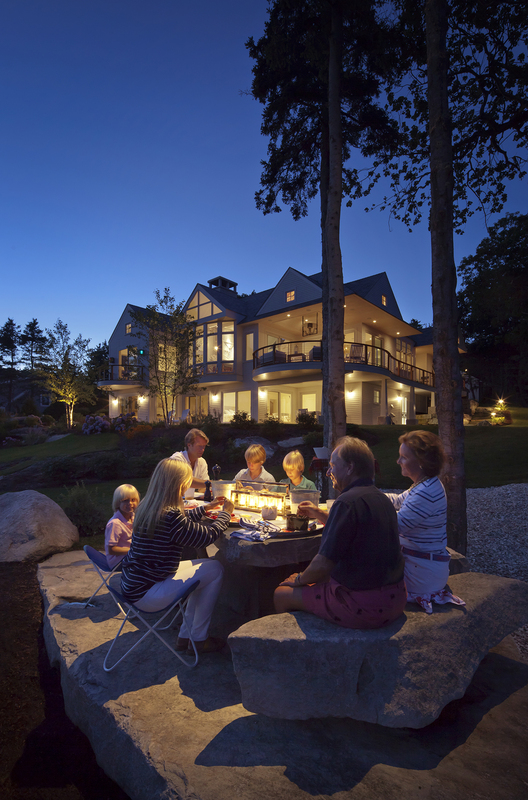 The main house and the bunkhouse frame a big open yard with plenty of space for outdoor activities, lawn games, and lobster bakes. The cathedral ceiling and open plan make the space feel larger than it is. Built-ins along perimeter walls provide custom daybeds and storage for housing bedding, games and media. A small kitchenette divides the room to create a private bunk space for four. 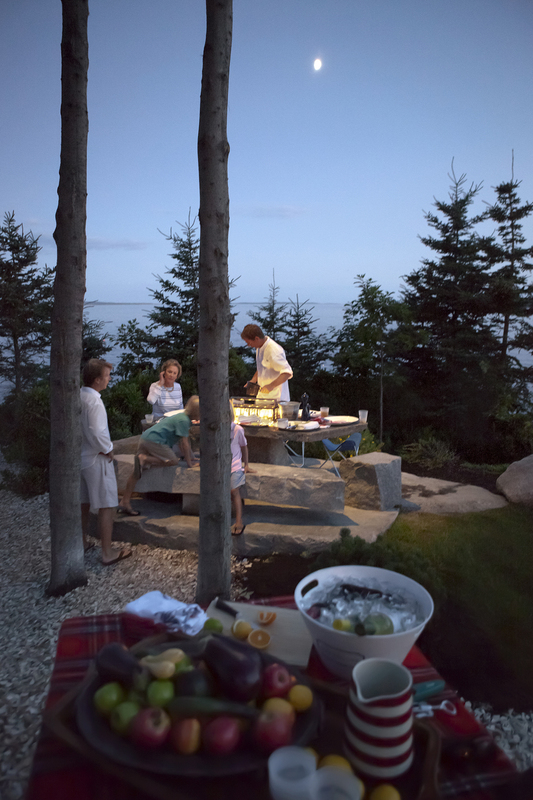 “A family that clams together, stays together” is a favorite saying of our client, whose Maine cottage is more than just a summer getaway—it is a 3-generation family retreat. 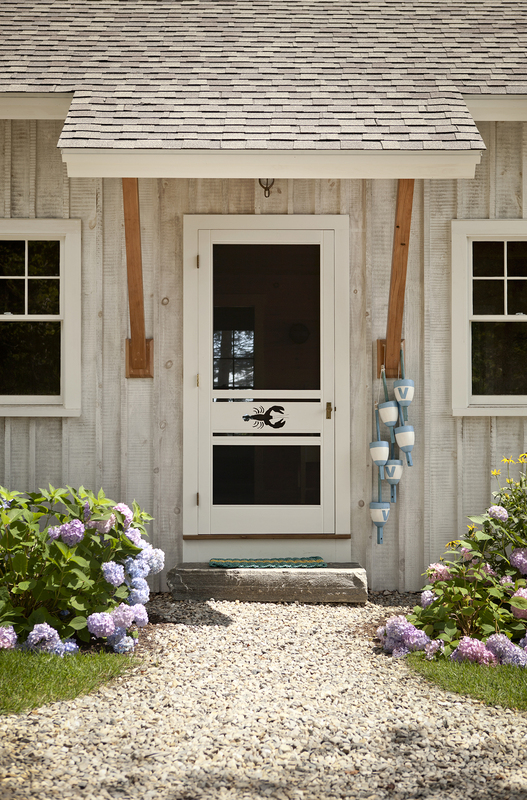 Through and through, this coastal home is about family… and living on the water.